Moving abroad, be it a temporary or permanent residency, whilst rewarding can prove difficult, especially when the distance is great, the language is different and you are leaving people behind. Luckily, in today’s world we are able to touch base with people thousands of miles away from us at the click of a button in attempt to lessen the distance. Whether or not we think little of technology and social media, it has enabled us to connect with people all over the world, speaking different languages on different continents, keeping businesses thriving and relationships blossoming. Wish so many forms of communication technology available to us however, how can we know which is best? From experience and research, we have created for you a list of what we believe are the best technologies for long distance communication. Who said learning a new language was hard? Duolingo turns learning to speak in a foreign tongue easy and even enjoyable! Accessible on both your desktop and your phone, this language learning platform pours gamification into every lesson. You can earn points for correct answers, race against the clock and keep records of your progress along the way. The guys behind this app have gone to great lengths to make learning something difficult so fun you’ll find it addictive – and the best part? It’s free! Occasionally a phone call or email just won’t cut it and a face to face meeting is necessary. Whether it’s with a potential client or a loved one, if you want to avoid misinterpretation or put a face to a name without having to fly halfway across the world (or just travel across town! 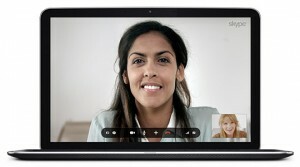 ), Skype enables you to do so via your computer. You need only set up an account with your email address or mobile number and you can talk to anybody in the world at any time, using a webcam or built in camera to see them as you do so. Sometimes it’s just not necessary to take the time to learn a new language when you will only be communicating with the person every now and again. If you’re struggling to translate an email or would like to make a good impression by responding in the recipient’s own language, simply use Google Translate to turn your English into the appropriate language. Type ‘Google Translate’ into your Google search bar, fill in the box, select the language, copy and paste! Only recently updated, Liana is an app with enables you to locate people from your own country within other countries. If you’re feeling homesick or are keen to find others in a similar position to yourself, living abroad in a foreign country, Liana helps you to do so. The app is free to download, easy to use and can make your travels all the more enjoyable by introducing you to potential friends in the area. Relocating overseas for any amount of time can be life changing, so make use of the support available to you. If you need any further guidance, browse our website or get in touch for helpful guides and assistance.